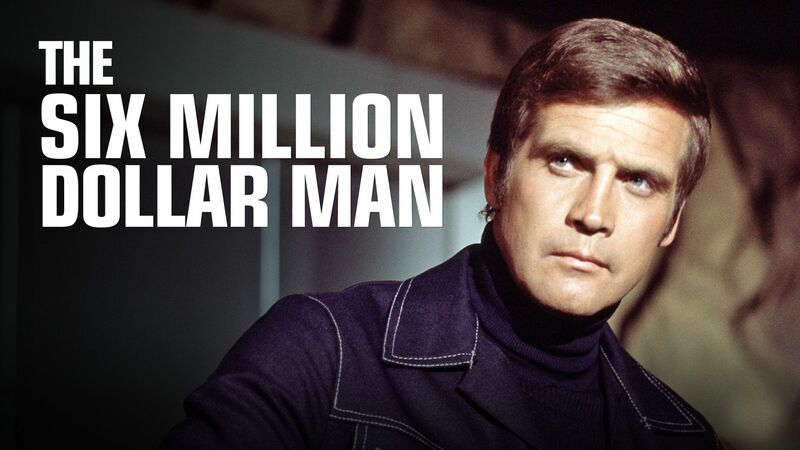 Here's where to watch every episode of The Six Million Dollar Man season 1. Mouseover or tap an episode to see where to stream it. Click or tap the play icon to stream it on the best available service. Wine, Women and War - Part 1 Jan 18, 1974 Steve Austin is gravely injured by a depth charge while fleeing from a failed mission in Egypt. He refuses further cooperation with OSI, which will not disclose to him the target of the operation that nearly cost him his life. OSI conspires with an old Air Force acquaintance to dupe Austin into “escaping” from his involuntary confinement to Paradise Cay in the Bahamas. There he is unwittingly thrust back into the same operation that intends to stop an arms dealer named Findletter from selling stolen American and Russian nuclear missiles. The stakes are increased when Findletter attempts to hijack a newly launched American submarine. Wine, Women and War - Part 2 Jan 25, 1974 Steve Austin is gravely injured by a depth charge while fleeing from a failed mission in Egypt. He refuses further cooperation with OSI, which will not disclose to him the target of the operation that nearly cost him his life. OSI conspires with an old Air Force acquaintance to dupe Austin into “escaping” from his involuntary confinement to Paradise Cay in the Bahamas. There he is unwittingly thrust back into the same operation that intends to stop an arms dealer named Findletter from selling stolen American and Russian nuclear missiles. The stakes are increased when Findletter attempts to hijack a newly launched American submarine. The Solid Gold Kidnapping - Part 1 Feb 1, 1974 Oscar Goldman orchestrates a ruse whereby a high level U.S. military diplomat pretending to be holed up in a Paris hospital is to be secretly whisked off to Peking to negotiate an ease of tensions between the two countries. A professional kidnapping organization successfully abducts the diplomat in Paris with the aid of his treacherous paramour known as the Contessa. The kidnappers demand a $1 billion ransom in gold. As the gold shipment moves forward, Steve Austin begins a search against the clock for the hostage. He is aided both by the fickle Contessa and by a doctor who agrees, with perilous consequences, to have brain cells of a dead kidnapper injected into her own brain to allow her to have access to his memories. The Solid Gold Kidnapping - Part 2 Feb 8, 1974 Oscar Goldman orchestrates a ruse whereby a high level U.S. military diplomat pretending to be holed up in a Paris hospital is to be secretly whisked off to Peking to negotiate an ease of tensions between the two countries. A professional kidnapping organization successfully abducts the diplomat in Paris with the aid of his treacherous paramour known as the Contessa. The kidnappers demand a $1 billion ransom in gold. As the gold shipment moves forward, Steve Austin begins a search against the clock for the hostage. He is aided both by the fickle Contessa and by a doctor who agrees, with perilous consequences, to have brain cells of a dead kidnapper injected into her own brain to allow her to have access to his memories. Population: Zero Feb 22, 1974 When Steve and Oscar investigate the death of the entire population of a small town, they are contacted by a scientist, once employed by the government, who is set on revenge for past grievances. Demanding $10 million or he will strike again, Steve must find and stop him. Survival of the Fittest Mar 1, 1974 Due to secret negotiations with the Russians, Oscar Goldman is targeted for assassination by interests that will be hurt by the prospective pact. Oscar and Steve Austin board a flight in Hawaii bound for Dulles. The plane is forced to make an emergency landing on a deserted Pacific Island when part of a wing is lost during a storm. While awaiting rescue, two military officers that had been on the flight severely wound Oscar in an attempt to kill him. Unaware of the breadth of the conspiracy, Steve Austin must carefully decide whom he can trust in his efforts to save his friend. 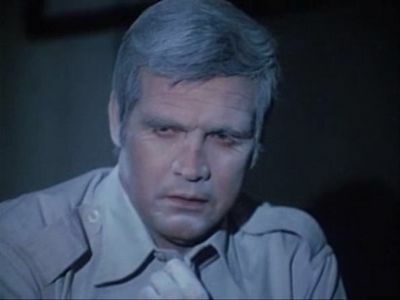 Operation Firefly Mar 8, 1974 Dr. Samuel Abbott has been kidnapped while developing a wireless laser that utilizes scientific principles observed in light generation by the common firefly. 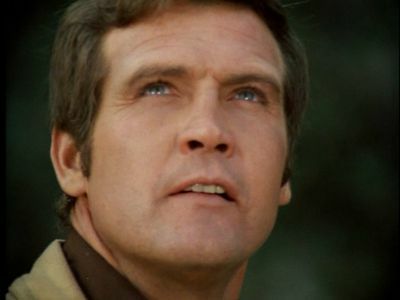 Steve Austin goes to Spain to find Abbott’s daughter Susan whose known powers of ESP will hopefully assist in locating the scientist. She leads them to the Everglades only to discover that Dr. Abbott mistakenly believes his kidnappers are government agents that are protecting him. He continues to complete the laser unaware that it is being used to extort money from the U.S. Government. Day of the Robot Mar 15, 1974 In an attempt to steal a top secret anti-missile device, Steve's associate and friend Major Sloan is kidnapped and replaced with a robot. Steve must discover the impostor, and keep the device from being stolen and sold to the highest bidder. Little Orphan Airplane Mar 29, 1974 Steve is assigned to find and rescue downed-pilot Josh Perkins, as well as recover the evidence of U.N. treaty violations that Perkins had on him when he disappeared. Doomsday, and Counting Apr 5, 1974 When an earthquake threatens the stability of an underground Russian nuclear installation, Steve must rescue the fiance of his friend Col. Vasily Zhukov, who is buried beneath debris. Complicating matters further, Steve must also stop the reactor before it explodes. Eyewitness to Murder Apr 12, 1974 By sheer chance, Steve Austin witnesses the attempted assassination of Lawrence Sandusky, a prosecutor who is about to file criminal charges against a known racketeer. He is unable to capture the assassin, but does catch a glimpse of his face. OSI is assigned to security detail for the prosecutor pending a 9:00 a.m. court hearing. Steve Austin identifies and apprehends a man named John Hopper, believing him to be the hired hitman. However, Hopper has a seemingly ironclad alibi. Convinced that he is correct, Steve Austin trails the released suspect as the court hearing fast approaches. The Rescue of Athena One Apr 19, 1974 Steve is launched into space to rescue two astronauts stranded in a crippled space capsule. Dr. Wells Is Missing Apr 26, 1974 When a group of international criminals kidnap Dr. Rudy Wells in order to force him to build them a bionic man, Steve is sent to find and rescue him. The Last of the Fourth of Julys When a terrorist uses a laser to try to kill a group of prime ministers attending an international meeting in Paris, Steve is assigned to infiltrate his compound and stop him. Burning Bright Steve's astronaut friend Josh Lang (William Shatner) is impaired after being exposed to an electrical field while in space. However, Lang finds himself with strange abilities from the exposure, including the ability to communicate with dolphins, but when his condition deteriorates, Steve must find him and take him to a facility before he harms himself. The Coward When an earthquake in the Himalayas uncovers a DC-3 plane containing secret papers that went down during World War II, Steve is sent to recover the papers. Steve also tries to clear the name of the pilot, his father, who was accused of bailing out and leaving the rest of the crew to die. Run, Steve, Run When a crime syndicate and a robot creator conspire to build a team of bionic robot criminals, they kidnap Steve in order to learn how his bionic limbs work.